Our "Connected Smart Key" application provides the option of sharing assets, like offices and apartments (for real estate agencies, offices-on-demand, and meeting rooms). With our locksmith partner, we have designed a unit that can communicate with our web server application. Customers who wish to view an apartment can reserve their viewing time on line using a PC or smartphone. 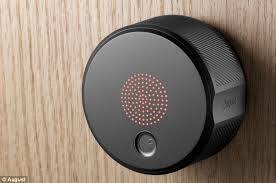 Once the time has been reserved, the customers receive a URL, which sends an open/closed signal to the smart lock. At the time of the appointment, they can access the property using the URL "key" to open and close the door. Mobile communication is the best method for setting “Connected Smart Keys” in places where Internet infrastructure is limited and properties are vacant for limited periods. Mobile communication can provide the asset location or ID. It only requires several bits of data for the ID and encryption. The signal to trigger opening or closing of the key only requires data every 30 minutes (it can be adjustable), plus a “keep-alive” request, if required. This solution is easy to use and it is just as easy, simple, and fast to add a unit to the system. There is also a backup unit that can be provided, if required. The unit can be installed, not necessarily as a service solution alone, but also as a private solution for a company that wants to share their assets between many employees and control and monitor the cross-usage demand. The communication is encrypted and the unit is embedded in the cloud management tools in any time frame. Following this, the “Connected Smart Key” provides a much more efficient solution.